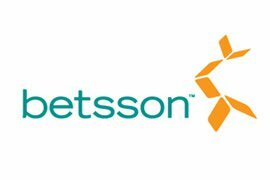 Betsson AB, currently the only operator of online gambling allowed by the country's monopoly system, has beaten the odds by showing a Q1 increase in revenue. This overall increase of 7% takings seems counterintuitive at first with Sweden considering putting an end to their system which allows a government approved company, such as Betsson AB in the online gaming industry, to be the only option. Another issue has been the currency exchange rate which has not been in Sweden's favour as of late. Despite these items, the company saw a new Q1 high of SEK 686 million. Online Poker takings were hit hard with a decline of 23.5%, falling to a low of only SEK 23.4 million after the company made decisions about, "ending cooperation with unprofitable poker customers." Sports betting showed a 7% increase in year over year comparisons to SEK 176 million but, could have risen as high as 19% over 2013 were it not for the impact of the currency exchange's drop off. Casinos run by the company hauled in an impressive SEK 372 million, 64% of their total income, representing a growth of approximately 14% over last year's numbers. The company's balance sheets show their 'other' revenue streams falling almost 67% to SEK 7.4 million. An impressive but hardly surprising area for growth, given the state of current technology and consumer trends, is Betsson AB's mobile gambling division. This portion of the company's income brought itself up 25% from last year, taking SEK 101.2 million, moving up to 15% of the company's revenue. In 2013, the mobile gaming growth was only 12% over the previous year, further demonstrating the value of this market. Betsson AB's Q1 report on active customers showed a drop off of about 24% from last year. However, the company says that the number and value of deposits made just in this Q1 of 2014 "showed a more positive development" which is good news for business. To correct this falter, Betsson intends to make it right by "value-adding players rather than on free spins promotions." This step may be a big one to increasing their overall revenues and, if it takes off, may even start a new trend in the online gambling industry. Overall, the increase in sales is impressive as, when a monopoly or high ranking of a company is challenged, investors and customers tend to drop off. In this case, the challenge comes from the Swedish government responding to pressures from the European Commission to end their state-run monopoly. Some countries such as Denmark with what used to be their only operator, Danske Spil, have already taken these steps and allowed outside interests to compete with their previously sole operators. Whether this is acted upon will have to wait, though, as the Swedish government is gearing up for an election in September 2014.